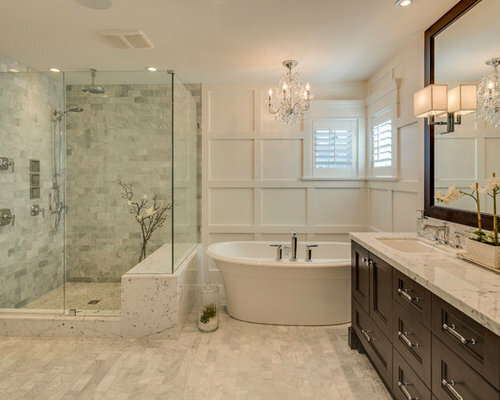 The bathroom has come a long way in terms of its design, rising from its beginnings as a ratty structure separate from the actual house to its current spot as an often over-sized, spa-like oasis. Modern bathroom design ideas allow for all shapes, sizes and styles, letting the homeowner impart their design sensibilities in fun, creative ways. Some of the most impressive bathrooms embrace a modern design aesthetic, with sleek fixtures, cool tubs and fun extras. If you’re looking to upgrade your own bathroom do contact us.